"Are you ready to die as a Christian?" asked Habila Adamu's AK-47-armed assailants from Nigeria's Boko Haram (BH) Islamist terrorist organization. During a recent visit to Washington, D.C., Adamu recounted surviving a massacre of Christians, in an effort to focus American attention on the bloody turmoil BH poses for Nigeria. Adamu described surviving a head shot for professing his Christian faith before a congressional hearing held Nov. 13. BH gunmen came to Adamu's house in Nigeria's Yobe state late one November night a year ago. They announced that they "were here to do the work of Allah." They seized money and cellphones from Adamu and his wife while asking whether Adamu worked for government security forces. And then when asked about his religion, Adamu professed his Christian faith. "Why are we preaching the message of Mohammed" yet "you refuse to accept Islam?" the gunmen asked. Christians are "preaching the gospel of true God," the "good news to other people that do not know God," Adamu said. "I am ready," Adamu responded when asked about dying. An AK-47 round then entered Adamu's face by the nose and exited his head. Thinking him dead, the gunmen stomped twice on Adamu's body and shouted "Allah Akbar." Yet Adamu miraculously clung to life through the night as his wife feared that he still might bleed to death. A morning evacuation to a hospital and emergency medical care ensured his survival. Fourteen dead Christians in Adamu's village were not so fortunate that night. Adamu's "unbelievable courage as well as faith" in a Nigeria ravaged by BH impressed U.S. Rep. Chris Smith, R-N.J., the chairman of the House Foreign Affairs subcommittee hearing. He cited data from the Christian aid organization Jubilee Campaign, whose literature stated that Nigeria "accounted for almost 60 percent of Christians killed globally" in 2012. This loss is "greater than the Christian casualties of Pakistan, Syria, Kenya and Egypt combined," a total of 1,132 BH victims in 2012 according to the State Department. Boko Haram targets Christians for death in Nigeria's Muslim-majority north with "infidel" markings on home doors. All these atrocities amounted to a "pre-genocide in Nigeria," Jubilee Campaign's Nigeria expert Emmanuel Ogebe testified. Beheadings taking place "on a weekly basis" in Nigeria often do not garner global attention. Closed circuit television (CCTV) captured the May 22 Woolwich killing of British soldier Lee Rigby, yet in Nigeria it is "kind of tough for a headless person to get this stuff out," Ogebe said at a Hudson Institute panel the day after the hearing. Nonetheless, "numerous examples" of Christian-Muslim cooperation against BH existed, Smith said, and BH's moderate Muslim opponents also feel the terror organization's wrath. Many Nigerian Muslims do not support BH, Ogebe agreed, and are "some of the kindest people you have ever met." This "common cause of Muslims and Christians" in Nigeria against Boko Haram deserved more attention, Smith argued. Christians and Muslims "living at peace with each other" in the past by, for example, sharing food during celebrations were among the memories Adamu described. 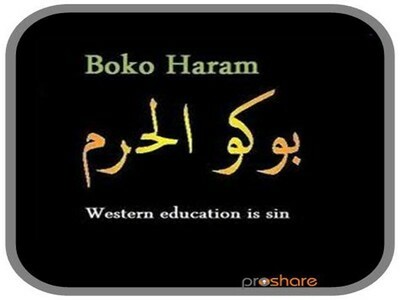 But Boko Haram's character remains in dispute. Smith described it as "principally anti-Christian" and following a "skewed…perversion of Islam." By contrast, BH's victims include "numerous Christians and an even greater number of Muslims," Assistant Secretary of State for African Affairs Linda Thomas-Greenfield said in prepared remarks. While BH's persecution of Christians "really disgusted" Thomas-Greenfield, she noted the group also killed "Muslims … in the name of Islam". Thomas-Greenfield's predecessor, Johnnie Carson, and a Sept. 13 congressional report on Boko Haram made similar claims. BH's victims were "across the board," Thomas-Greenfield said. Smith criticized the State Department's "downplaying" of BH's Christian victims. This is "not a game of numbers," Ogebe testified. State Department claims of suicide bombing attacks at Nigerian mosques also appeared "really strange" to Ogebe, who knew of none among the few BH mosque attacks. Differences aside, Ogebe later described Thomas-Greenfield as a "breath of fresh air." She recognized BH's "ideology, which opposes Western culture and education and seeks…a regime enforcing strict shari'a law" as a conflict source. That is a "position closer to reality" than previous U.S. statements, Ogebe said. American officials previously "did everything they could to push that idea" about Boko Haram's Islamist ideology away, Jubilee Campaign's Ann Buwalda said at the Hudson Institute program. Like her predecessor Carson, Thomas-Greenfield cited "regional and socioeconomic disparities" between Nigeria's poor Muslim-majority north and the Christian-majority south as motivations for BH attacks. Yet Ogebe's own life argued against the poverty claim. Once told by his parents to buy half a loaf of bread for visiting guests, Ogebe noted that he had experienced northern Nigeria's "deep poverty" firsthand. Linking BH's "warped theology" and "out of the stone age…medieval-style Islamic practices" like chainsaw murders to poverty was an "insult to poor people…some of the most generous people you will ever meet." Ogebe expressed fear of an "institutionalization of mass murder" through proposed government payments for individuals to leave BH, something that might lead to further violence. Buwalda also criticized American expenditures of $4.5 million on "interfaith dialogue" and $45 million on support for Nigerian madrassas "without any knowledge about what is being taught in the schools." The one positive development Ogebe and others hailed during Adamu's visit was the sudden American designation of BH as a Foreign Terrorist Organization (FTO) on the day of the hearing. "Christmas came early," Ogebe testified. Smith called the designation "monumental" and "historic." U.S. Rep. Ted Poe, R-Texas, called it "long overdue" for a "vicious terrorist organization." Hearing participants mentioned Boko Harm's ties to Islamist terror groups like al-Qaida affiliates and Somalia's Al Shabaab as well as BH's attacks upon Westerners, including Americans. Describing BH as a "real global threat," Ogebe noted its earlier name "Nigerian Taliban" and previous "Afghanistan camp." BH "modeled itself exactly like the Taliban," Ogebe said, even to the point of living in caves. BH fighters have appeared in Afghanistan and in Mali. Yet Thomas-Greenfield and Jamestown Foundation expert witness Jacob Zenn also cautioned that, while the terror designation allowed for tracking of BH's foreign finances, the group had turned in recent years to local illegal sources of funding like bank robbery. The designation also "underwhelmed" Ogebe. Simply to get the Obama administration "to conceive the truth" about BH as a "vicious terrorist group" had required two years of effort better spent on helping BH's victims. Yet to "recognize the problem" is the first step, Ogebe said. Looking to the future, Zenn saw an obstacle in the current Leahy Amendment, an American law prohibiting aid and training to whole military units if even a few individual members were found to have abused human rights. Its restrictions are blocking vital training from reaching Nigerian troops, especially when it comes to combating Boko Haram's sophisticated weaponry, including AK-47s and rocket-propelled grenades. Having suffered the Nigerian army's torture as a dissident in the past, support for the military was "quite a stretch" for Ogebe. Yet he could not ignore Adamu's plea at the hearing: "let this killing of innocent blood stop."